A few of our hens have recently been sitting on their eggs. We have watched and candled them to see if they are close to hatching. 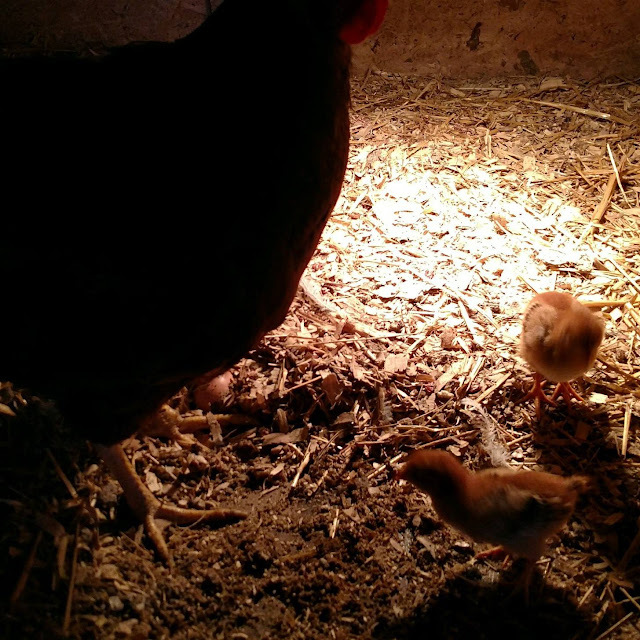 This mother hen's eggs have started hatching and we have new chicks on the farm. I like to have chicks and i had around 50 at my home. They looked so cute when they were young but its not easy to handle them. requires a lot of care.